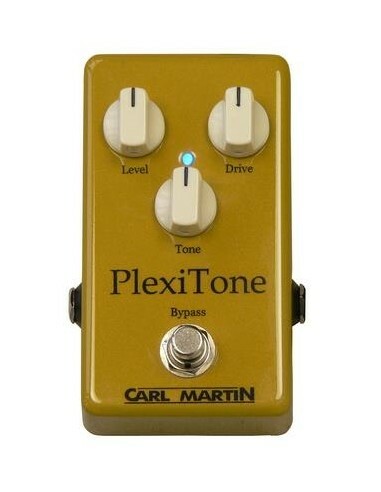 The new `single channel` Carl Martin PlexiTone was designed in association with Pete Thorn, and is housed in a small pedal-board friendly housing with 3 knobs and 1 switch. Apart from Pete's slight modifications that give this new pedal a tighter bottom-end and slightly softer high frequencies, it is exactly the same gain structure as the High Gain setting on the original ProSeries PlexiTone....it just plays better with different amps. 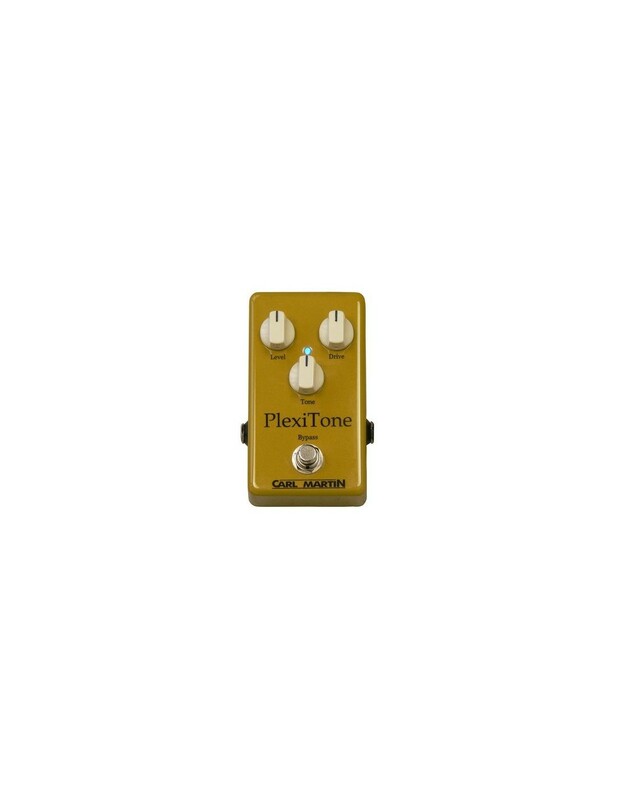 The Tone knob on the PlexiTone, is a high cut filter. With the knob set at full clockwise, you enjoy the full bandwidth of frequencies, so as you turn the knob counter clockwise, you start to filter out the high frequencies. This allows you to fine tune your tone regardless of which guitar/pickup you are using. You might find at high gain settings that reducing the highs will tighten up the sound, and at lower gain settings, the high frequencies will add some bite and crispness to your notes. The Level knob adjusts the overall level of the PlexiTone. By adjusting this knob (in conjunction with the gain) you can match or exceed the bypass signal for rhythm or solo work. The Drive knob adjusts the amount of overdrive, from light crunch; at full counter-clockwise, to full, fat overdrive with loads of sustain at full clockwise…. and everything in between. Regardless of the amount of overdrive, the PlexiTone always produces those great Brittish tones that seem to cut right through the mix in both live and recording sessions. The Bypass switch button; which switches the PlexiTone on or off, is active buffered output so you don’t loose any signal in long cables a cross stage!